The first-ever album to go platinum thanks almost entirely to streaming has just been crowned, and it will probably come as little shock that Kanye West's The Life of Pablo earned the title. 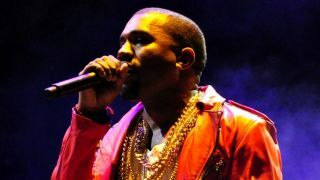 West's eighth studio album has been streamed over three billion times since it was released last year, according to Billboard, which verified the certification with the Recording Industry Association of America. The platinum status amounts to one million album units, Billboard says. Though some claim The Life of Pablo is the first streaming-only album to reach platinum, digital downloads of West's latest have been available to buy, including on his website. Still, the vast majority of listening took place via streams; the album reached Number 1 on the Billboard 200 when over 70% of its early earnings came via streaming. Launched as an exclusive on Jay Z's Tidal streaming service before coming to other platforms like Spotify and Apple Music, the success of The Life of Pablo could pave the way for more music to reach the upper echelons of the music business without traditional sales backing them up. There's certainly a sea change taking place in the music industry, and streaming continues to gain ground on traditional listening mediums. For one, revenue from streaming edged out both digital downloads and CD sales in US for the first time last year. And just last week, Drake's More Life playlist shattered streaming records and challenged how we think about new music releases. It's available on Apple Music and Spotify. At the same time, streaming services are having to adjust their business models in order to appease customers, artists and record labels. Earlier on Tuesday, Spotify announced a deal with Universal Music Group to bring some albums exclusively to its paid-tier customers before releasing them to all users. This is seen as an attempt by Spotify to remain in artists and publishers' good graces ahead of an expected IPO.